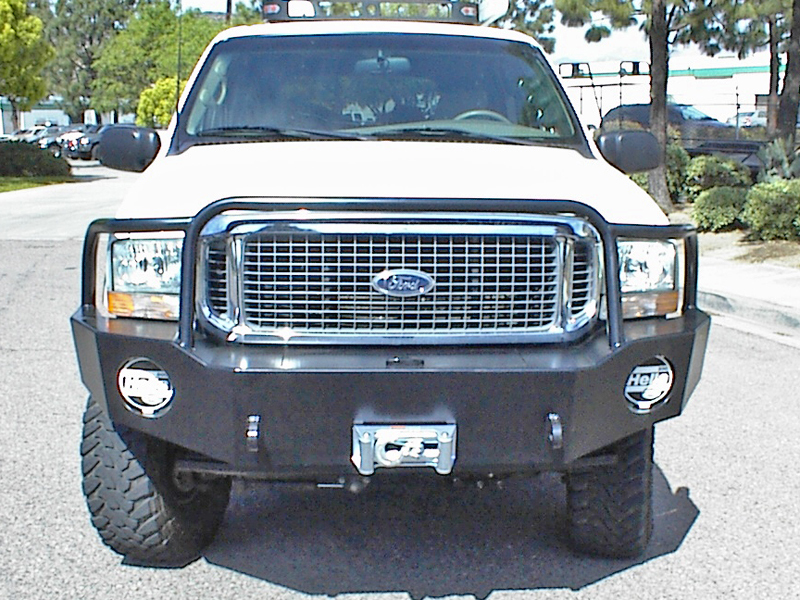 The Aluminess front winch bumper for the 99-05 Excursions will hold a large winch and come with integrated tow hooks. 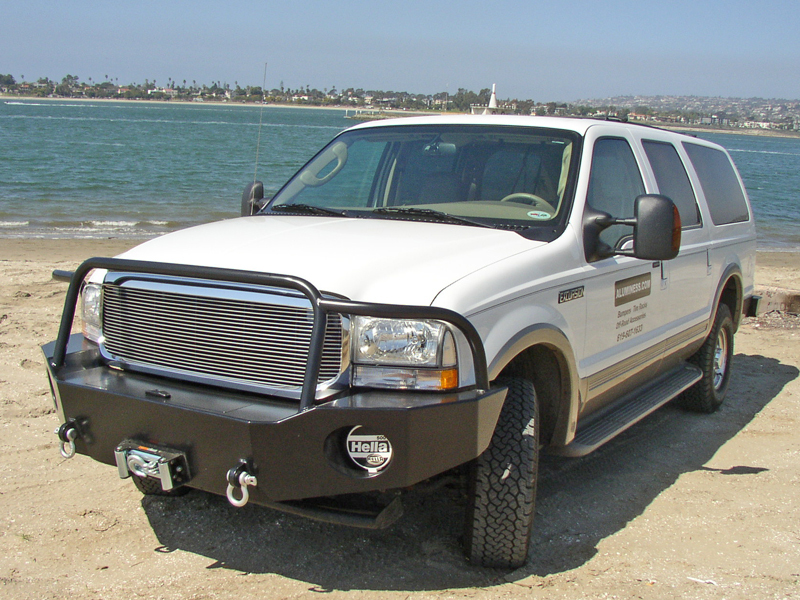 Wet and salty environments can wreak havoc on steel bumpers and make them rust out in no time. 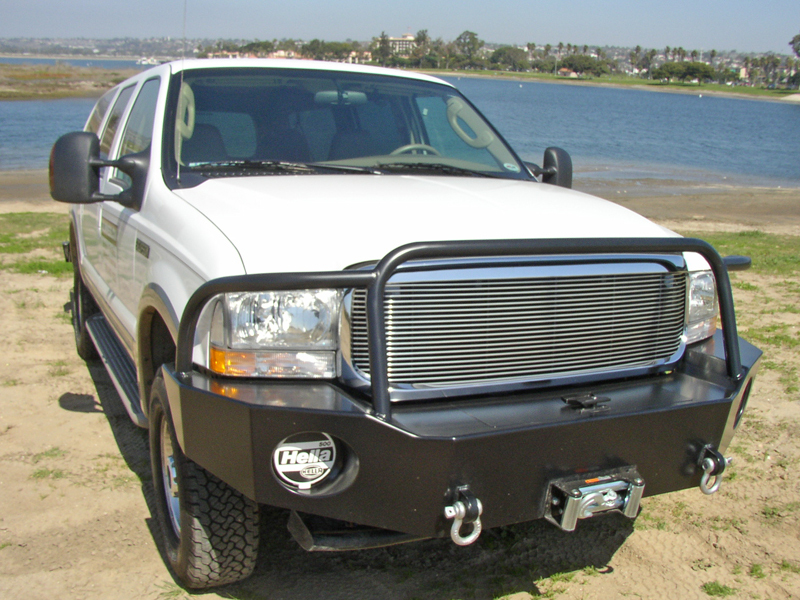 Aluminum doesn’t rust so you can be sure that your Aluminess bumper will hold up even in salty environments. 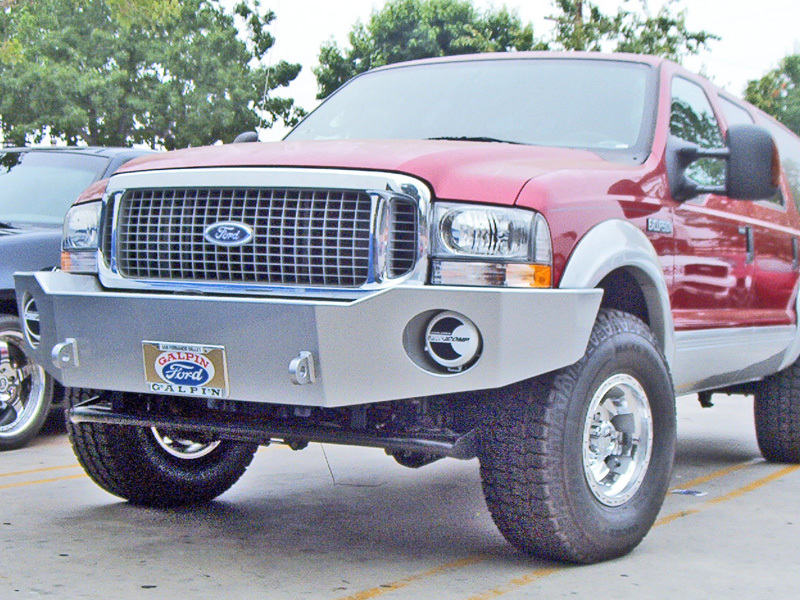 The lighter weight of aluminum also prolongs the life of your brakes, tires, suspension, and steering when compared to steel bumpers. Despite its light weight, it is still very strong. 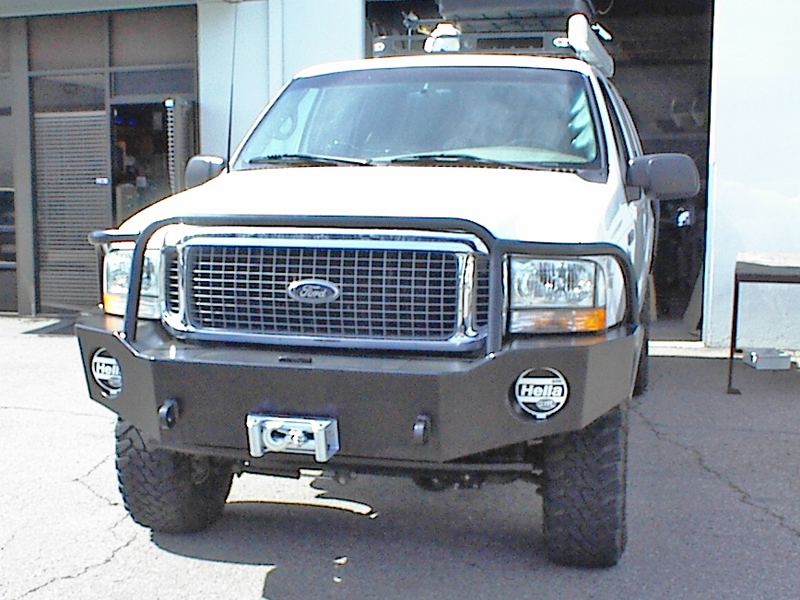 Aluminess bumpers have survived collisions with deer, bear and elk. 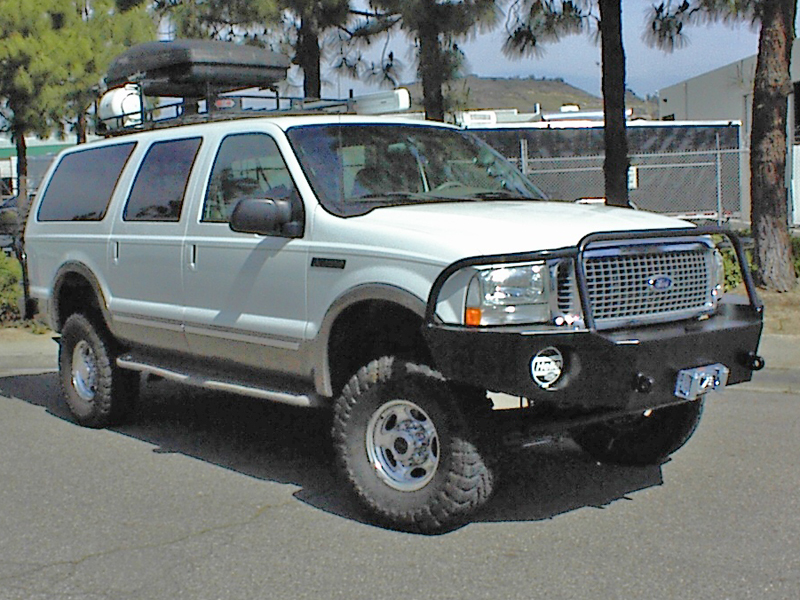 The front winch bumper for the 99-05 Excursions were designed specifically for the vehicle to match all of the body lines. 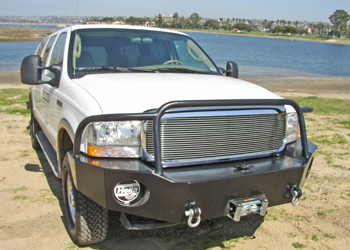 This winch bumper looks as good as it functions.